Dan McFarland on Jacob Stockdale: "He's a special player, he's very important to us"
Ulster coach Dan McFarland paid tribute to "special player" Jacob Stockdale. The winger ran in two tries to as the Irish province overcame a tough Racing 92 side 26-22 at the Kingspan Stadium in Belfast. McFarland paid homage to his team for competing so fiercely with the French outfit in the Champion's Cup Pool 4 Clash. 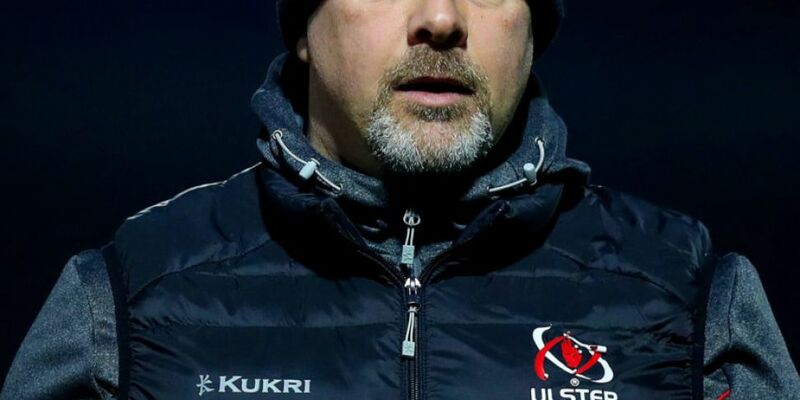 The Ulster coach believes taking advantage of their set piece plays was crucial for the positive outcome. "I think sticking in there was a big thing but also the execution of our set piece plays in the first half. Dwayne Peel deserves a lot of credit for that, he saw some areas he thought we could exploit. The tries we managed to score off first phase, and a couple of phases managed to expose them. "Tribute to the guys who didn't play, they prepared us really well"
The English born coach says his side have now turned their full attention to Leicester Tigers next weekend after overcoming the Top 14 side. "We don't know if we are in the quarter-final. We need to go to Leicester next week and win, that's going to be our aim - we will find out what happens afterwards. McFarland praised Ireland winger Jacob Stockdale after the winger put in a Man of the Match performance. He says the 22-year-old is a special talent, and a player who relishes performing on the biggest stage. The Ulster boss says Stockdale is crucial player for the province. "Everybody in Ireland saw what he can do against the All-blacks. Today he did it twice, it could have been three times. He's a special player, he's very important to us. He produces the goods on big days. That's what great players do."